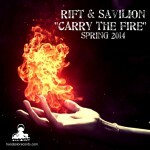 Rift & Savilion’s Carry the Fire features 10 tracks of laid back boom bap about love, loss, family, friends and the state of modern hip hop. Savilion handles all of the production and also raps on a few tracks, but it’s primarily Rift’s purge. First single “Carry the Fire” is an apocalyptic battle rap, while second single “Ace of Diamonds” is a life-affirming response to the darker side of this album, including songs about his recent separation (“I Don’t Know Why?”) and childhood trauma (“When You Died”). But Rift also offers further hope with “Frida Kahlo” and “Into This World We’re Thrown”. 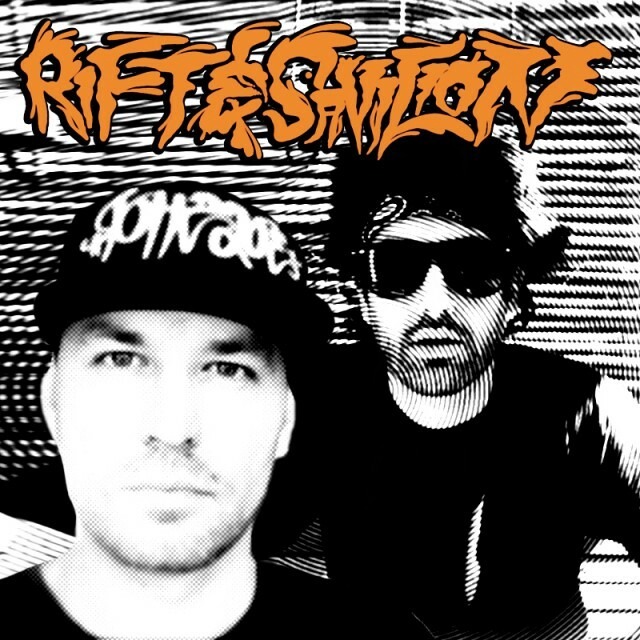 Rift and Savilion have a chance to get silly with “Dragon Jargon” while posse cuts “Take You Higher” and “F#¢K D€ad Pr€$id€nt$” add guest appearances from Backburner’s Wordburglar, Chokeules, More Or Les and Jesse Dangerously, as well as Geneva, Sulfur, Mikal kHill, Mindbender, and Fake Four’s Ceschi. 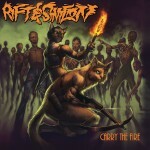 Carry the Fire may be their debut album as a duo, but Rift and Savilion are rap vets who have collaborated over their impressive back catalogues. Rift honed his sing-song flow as Selfhelp alongside Thesis Sahib as part of London, Ontario-based rap duo Bending Mouth with a self-titled album (2002) and vinyl EP (2004) – both amongst the earliest Backburner releases – with production from Fresh Kils, Uncle Fes, Timbuktu, Jesse Dangerously and Savilion, and then followed that up with two solo Selfhelp albums (Old Friends in 2009 and Broken Shadows in 2010) and an album focusing on the subject of nostalgia under the name The Garthim-Master (Ghosts of Nostalgia, 2011), finally settling on Rift for Carry the Fire and future projects. Savilion came up in the Toronto rap scene as a member of weirdo rap group Creature Box, releasing one group album (The Frantic Hunt for Shade, 2002), as well as solo work (Sound Puzzles in 2000 and Porch Steez in 2002) and a collaboration with fellow Creature Box-er Thought?Bug (Bad Sense of Smell, 2001), before turning his attention to recording and producing for other artists. He is currently a member of b-movie rap trio Swamp Thing, who have released an EP (The Grindhouse EP, 2012) and two albums (Creature Feature in 2012 and Firedogs in 2013), and he is currently working on a new solo album. * Grandpa Funnybook’s Mix-Tapingly Arranged Rapping Song * Album 3!